But the fact is, nobody gets off drugs unless they really want to, and I really wanted to. Hollywood is the definition of sexual discrimination. I have the desire to work as an actress, but I have no ambition to be a star. 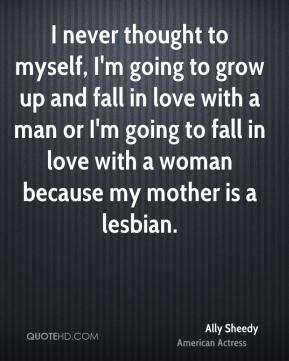 I never thought to myself, I'm going to grow up and fall in love with a man or I'm going to fall in love with a woman because my mother is a lesbian. 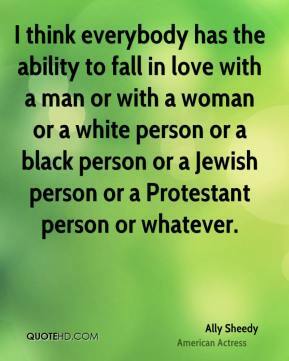 I think everybody has the ability to fall in love with a man or with a woman or a white person or a black person or a Jewish person or a Protestant person or whatever. 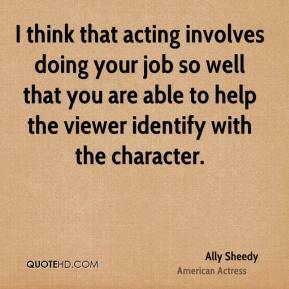 I think that acting involves doing your job so well that you are able to help the viewer identify with the character. I'd rather not pinpoint my mistakes. My experiences have taught me a lot and I'm happy with my learnings, if not with what I went through to learn.